Robert Byssz: Screw Agile transformation, transform yourself instead! 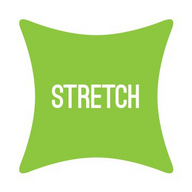 Stretch is a leadership and management conference to learn from the bests and stretch yourself. Join us in Budapest, Hungary this December and get inspired by stories from leaders in great organisations as they talk about the challenges of leadership and management. While in 2013 we discussed leadership and management — how to stretch oneself to become a leader instead of a boss —, this year we are concentrating on how the individual can grow and stretch oneself and thus contribute to a team that is more than the sum of its parts.